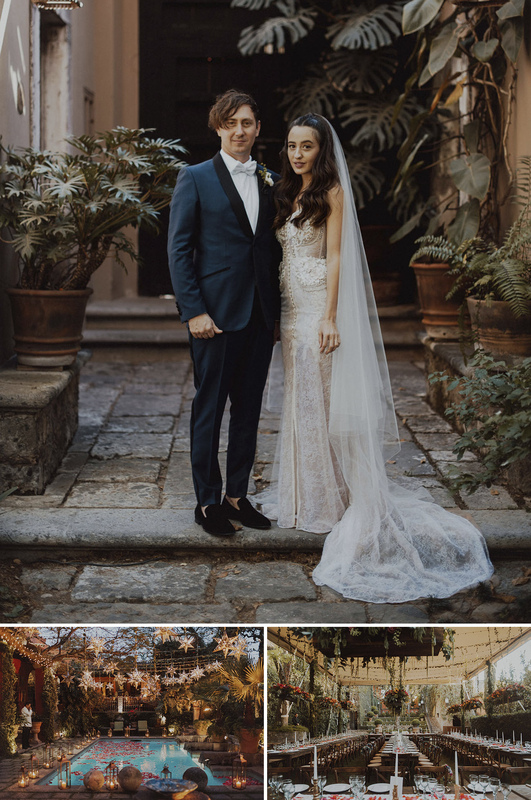 It’s our favorite time of the year… When we get to relax for the holidays, collect our thoughts on the past year, and share our round-ups of favorite moments + weddings from all the creative GWS couples! From a snowy secret wedding in the mountains of the Czech Republic, to one dreamy night in Mexico — we’re taking you around the world for the Top 10 Most Popular Weddings of 2017! How were these decided? 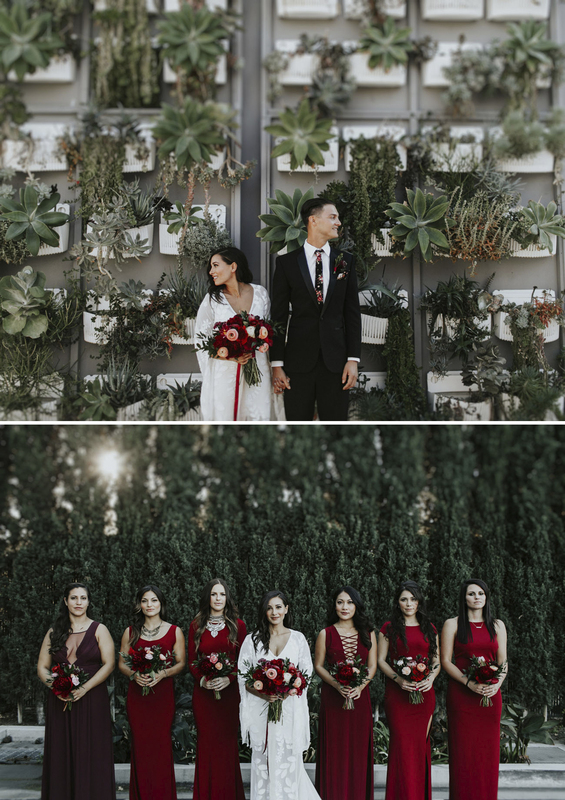 Our dedicated team sifted through all the gorgeous photos (oh darn…), and found the most viewed, shared and commented on from all platforms including Pinterest, Facebook, + Instagram! While the list includes one celebrity couple (can you guess who? ), all the other weddings that topped the chart were based solely on their insane creativity, gorgeous themes and detailed designs. We can’t begin to express just how thankful we are for being able to share and showcase the ideas of each couple + the love they share for each other! We adore the ingenuity, the focus on reflecting each unique love story, and all the magic that happens in between — and that’s what a Green Wedding Shoes wedding is truly all about! Check back throughout the week as we share the best of the best from 2017… including cakes, dresses, décor, and bouquets! Got any predictions for what will be most popular in 2018? We certainly can’t wait to find out! Let’s get this party started — counting down from #10, and all the way to #1 — here are the most popular weddings on GWS in 2017! When these two happened upon the beautiful city of San Miguel De Allende — known as “The Heart of Mexico” — they fell completely in love… And it was just months before he proposed! So it comes as no surprise they headed back for one fun-filled fiesta! 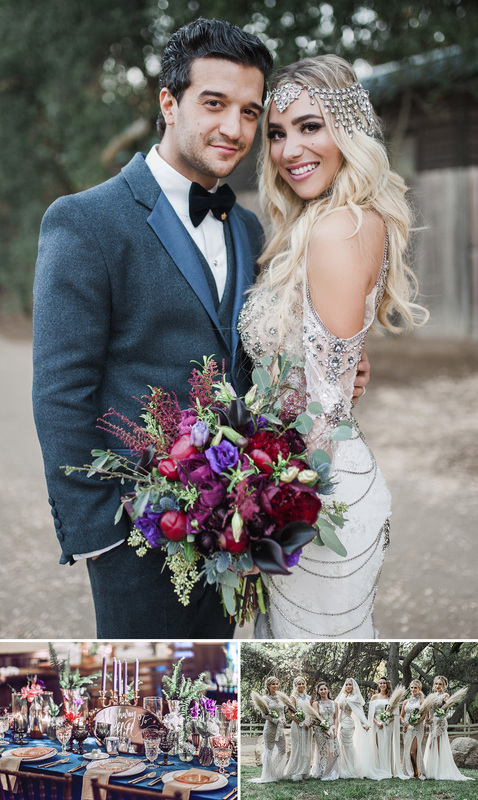 With celestial-inspired details, along with tons of jewel tones, twinkling lights, and beautiful Persian rugs, the bohemian enchantment didn’t stop there… The crowd at Mark Ballas + BC Jean’s wedding was filled with incredible dancers, artists + more! 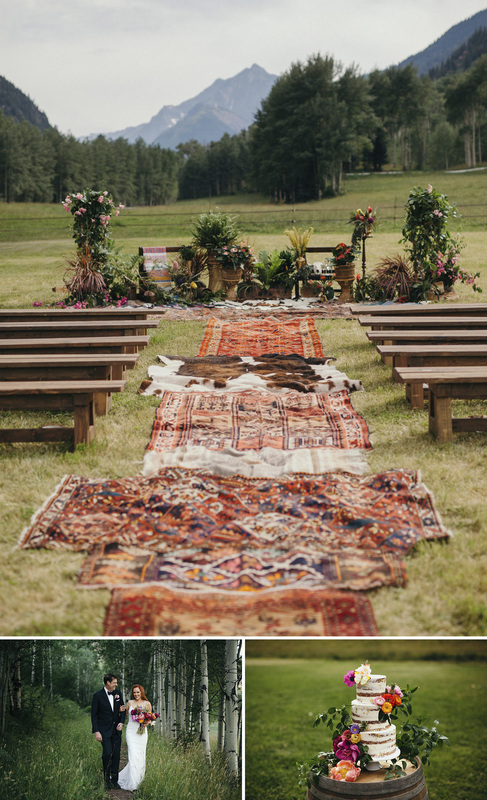 It all started with a boho bridesmaids’ party and the fun didn’t stop there — this Glam Meets Boho Wedding in Aspen was brimming with funky + boho-chic touches — from the handmade (by the bride) dream catchers, chains of flowers, and a series of teepees around the dining area! 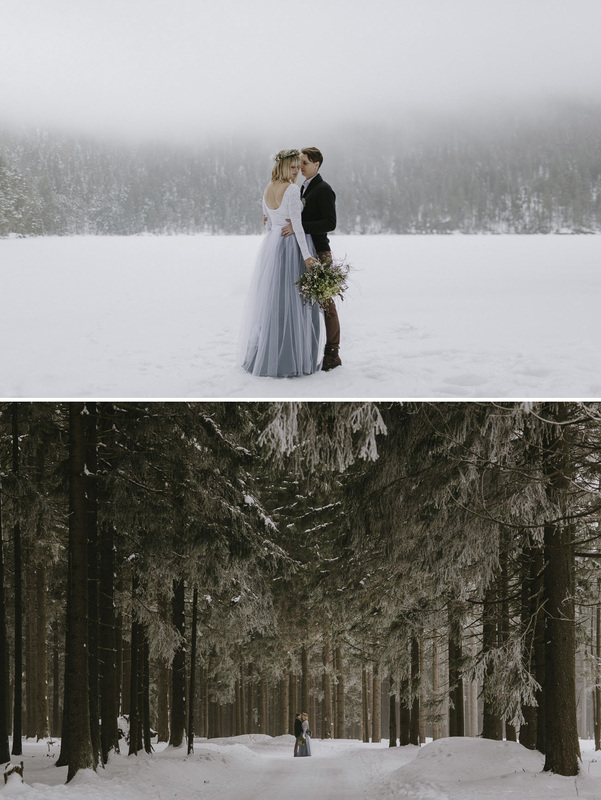 A secret snowy wedding in the mountains of the Czech Republic… Intrigued? So were we!! They wanted an intimate wedding, somewhere outside — surrounded by nature. 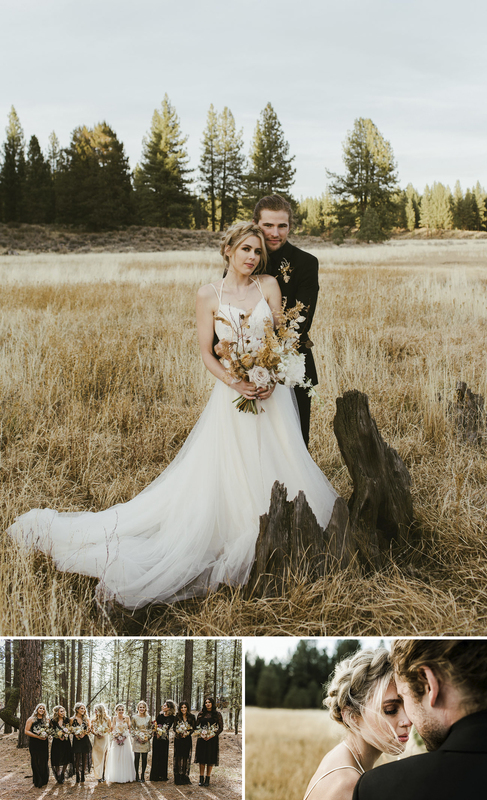 However, since some of their elderly relatives wouldn’t be able to hike up a snowy mountain, they decided to do a small + secret ceremony with their closest friends and then reveal the pictures at a giant celebration a month later! With the most popular wedding dress we’ve ever posted (seriously!!) — it’s no surprise that this colorful wedding made the list! The bride + groom incorporated so many splashes of color and DIY elements into their day… It truly was a spectacle you don’t want to miss! 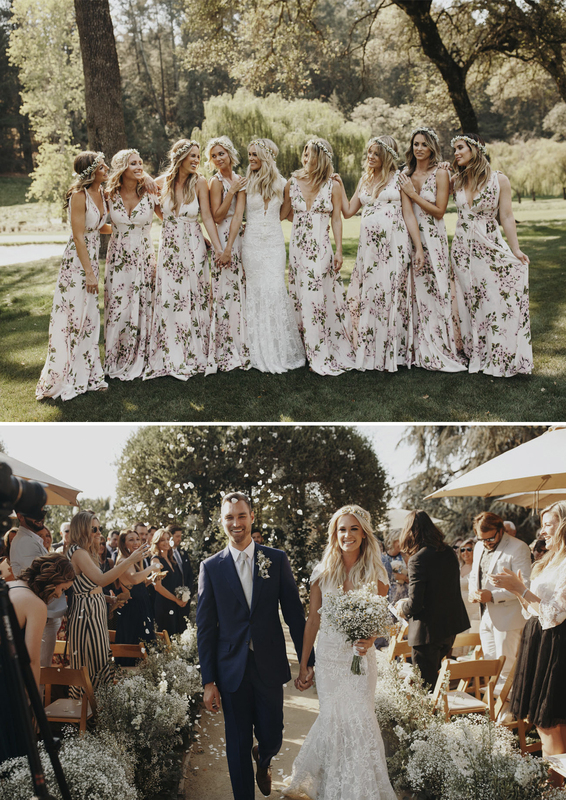 The lush wilderness of Northern California combined with the cool bohemian-luxe vibes of Southern California made for one rockin’ Napa farm wedding… Plus all the bridesmaids wore matching “Babe” leather jackets! This swimwear designer didn’t skimp on any detail. Amidst golden fields of wheat and tall evergreen trees, these two cozied up in the mountain town of Graeagle — just north of Lake Tahoe. With bridesmaids in all black + luxe gold accents in abundance, we couldn’t help but swoon over this modern + edgy forest wedding. 3. 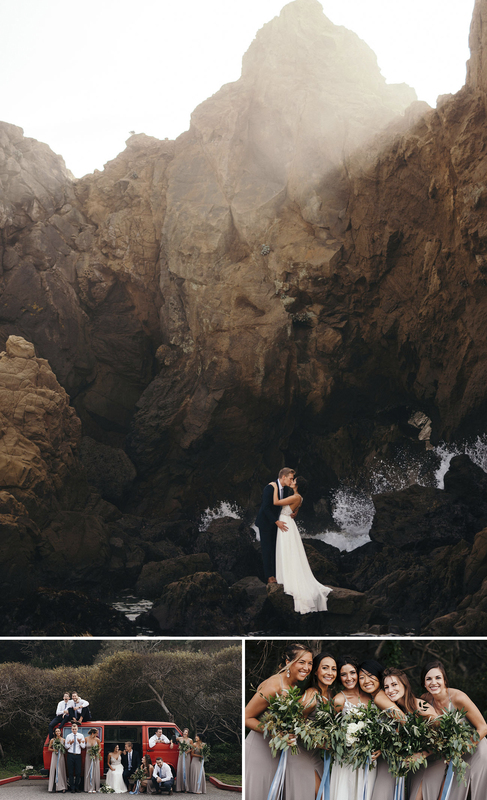 This Intimate Big Sur Beach Wedding — Planned in 90 Days! These two knew a 90-day turnaround from an engagement to a wedding would be a lot of work… but worth it! They came up with the four things that mattered to them most, and that allowed them to cut out all the excess (so smart!). Find out what those four key things are and just how they pulled off this wedding in 90 days without breaking the bank! 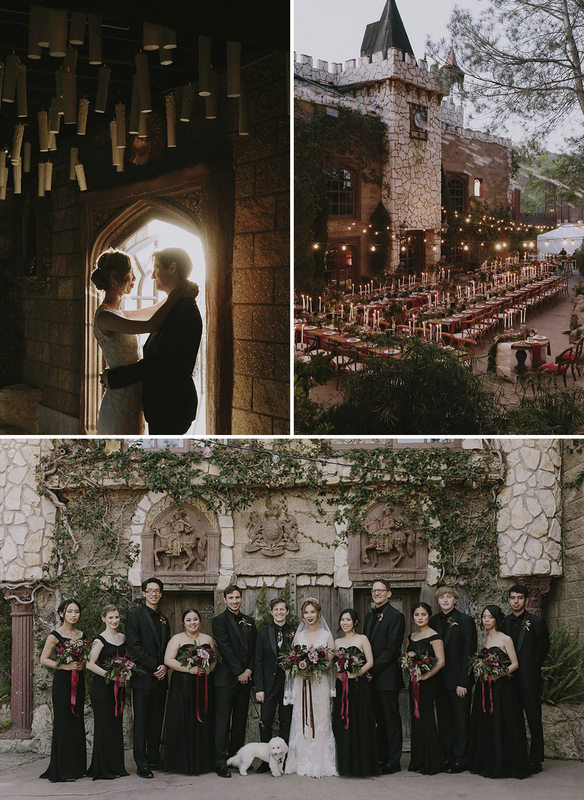 We solemnly swear that we are… totally transfixed by this magical, mysterious wizard wedding! 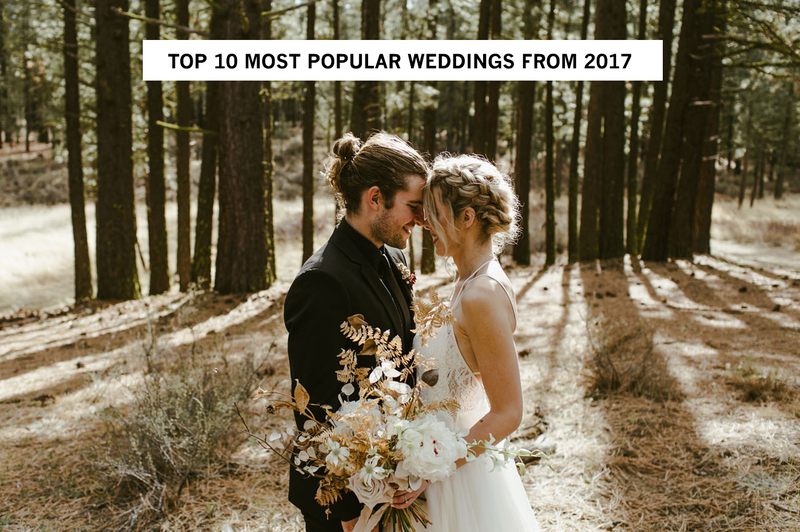 It’s really no surprise that it was our NUMBER ONE most shared, most viewed, most talked about wedding of 2017. The bride, a Harry Potter fan to the core, began to conjure up all the most bewitching details before the groom had even read the books! But don’t worry — he was all for the magic. You’ve got to see it to believe it — they pulled off an extravagantly themed wedding with glam and without the cliches. So much creativity + love all around! Did your favorite make the list? We’d love to hear what your most noteworthy GWS weddings were this year in the comments below… And make sure to check back tomorrow to drool over our favorite wedding dresses from 2017!! And for more excitement, we’ll be sharing a bunch more round-ups in the coming days, including: best décor + details, favorite cakes, and bouquets! Great collection of epic weddings!! Love how unique each of them are. Beautiful weddings!! Thanks for sharing. Fantastic collection! 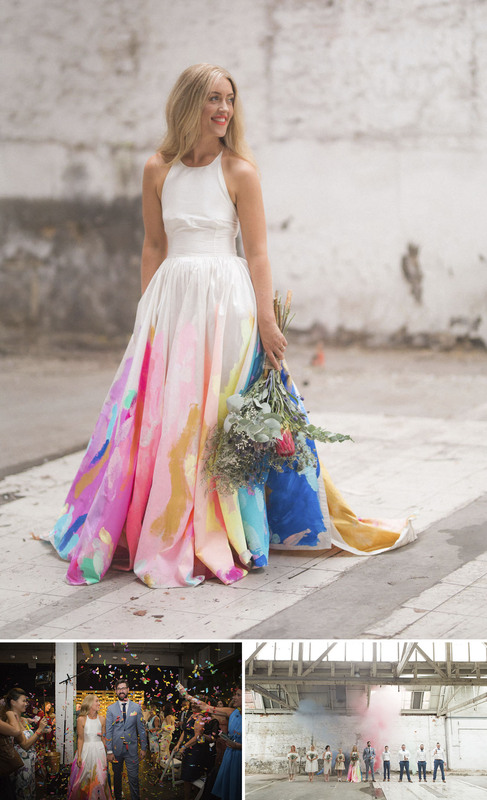 My favourite ones are the Boho wedding and the one with the rainbow dress. I just love it when people dare to be themselves! Love the complete collection. And.yeah the crimson one is awesome. Very good list! My favorite was number 7.